King & Country's diorama accessories are usable in a wide range of scenes, and are built to the exact scale of King & Country's metal toy soldiers. The timeless nature of many of these items allows for great versatility in using them through different time periods. The soldiers of Rome, the followers of Jesus, Napoleon's Army, ANZACS, and the Deutches Afrikakorps might all have stood outside the same Middle Eastern buildings at some point in history. Likewise, items like farm animals or baskets and jars can add a dash of realism to any display! 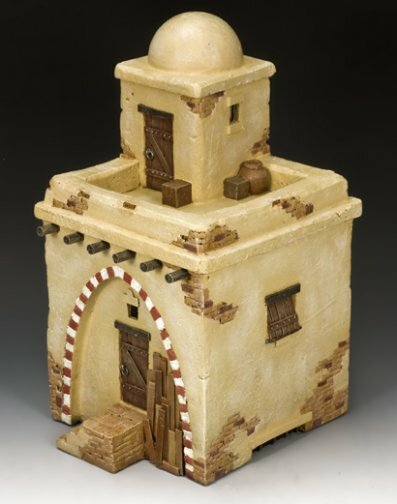 Choose from buildings ranging from the modern to the ancient, accessories and plant life, furniture and street signs. The fine detail of these hand painted items calls out their historical accuracy. 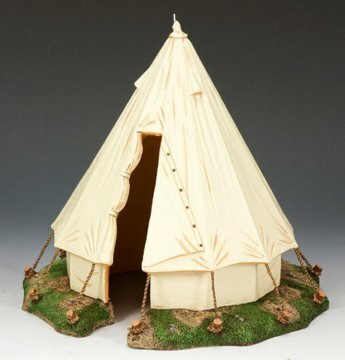 Browse our collection of King & Country's diorama supplies below.